Add fractions with the help of the Fractionator, a fraction-tile-making machine in the Gizmo. 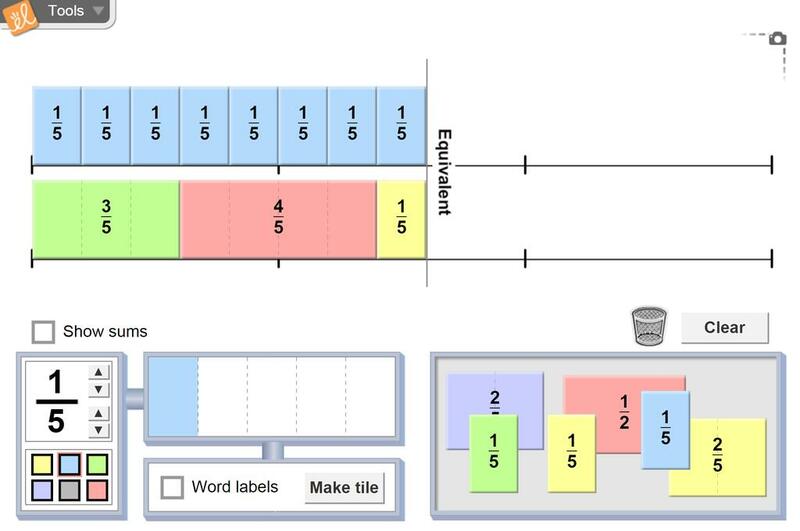 Model sums by placing the tiles on side-by-side number lines. Explore the usefulness of common denominators in adding. Express sums as improper fractions or mixed numbers. Add fractions with unlike denominators. Find the lowest common denominator (LCD) of a set of fractions. Use fraction tiles to model addition of fractions. Student Exploration translated into French - great for adding like and unlike denominators. This is very user friendly with great visuals for all students!